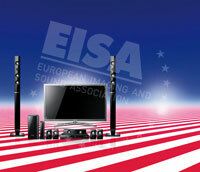 Each year before the IFA consumer electronics fair EISA awards the best products on the market – in their opinion - with an EISA Award. EISA Awards are awarded in a number of categories. Here are the EISA Awards for 2010-2011. FlatpanelsHD will be in Berlin to cover the world’s largest consumer electronics fair IFA 2010. Starting September 1 you can read all about the new products and trends on FlatpanelsHD. Check out the front page or IFA 2010 Coverage site. You can also subscribe to our Newsletter or RSS feeds. 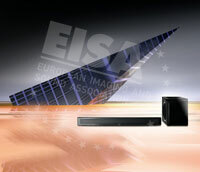 EISA is short for European Imaging and Sound Association and each year EISA Awards are awarded to the best products according to EISA. This is done just before the IFA fair to give extra focus on these products on the floors. The IFA 2010 fair will start September 3 and FlatpanelsHD will be in Berlin to cover the huge fair. Below you can see the most relevant EISA Awards along with EISA’s own description and argumentation. What do you mean? Do the products deserve it? And do you own an EISA winner? 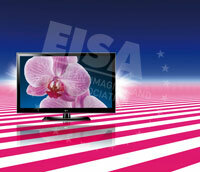 This is the display section where EISA has chosen the best flat panel TVs and projectors. 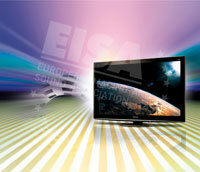 EISA has Awards in different categories such as LCD, plasma and 3D. 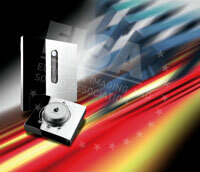 See the EISA Awards 2010-2011 below. 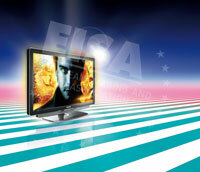 Only a few manufacturers offer a high quality 42¨ LED backlight HD TV for less than 1.000 Euro. This makes the LG 42LE5300 look like great value for money, particularly when you consider the list of value added features and connectivity options which include a USB port ready for photo, music and video playback. A new generation of user friendly menus enables simple and intuitive access to functions and settings encouraging users to explore these however, excellent colour reproduction and good movement compensation are guaranteed, straight out of the box. Panasonic TX-P50VT20 has it all, delivering a cinema-like 3D experience with natural colours to your living room or home theatre. This is accomplished through true deep black tones which retain picture details in dark picture areas. Colours are truthful in THX mode, but colour and sharpness is at your command with eight picture modes as well as user adjustable settings. The new, faster plasma panel displays 3D-films from Blu-ray without any disturbing elements. Fast movements are reproduced very well and the power consumption is the best seen on any plasma. Philips is considered by many to be a technology leader offering innovative solutions. Continuous improvement in search of optimum performance is once again demonstrated by features such as excellent motion compensation and direct LED scanning backlight with local dimming. The 46PFL9705 sees the introduction of Bright Pro technology, a “turbo boost” for brightness, which gives a vivid dynamic to images; sun-like whites offer huge contrast to the darkest blacks. 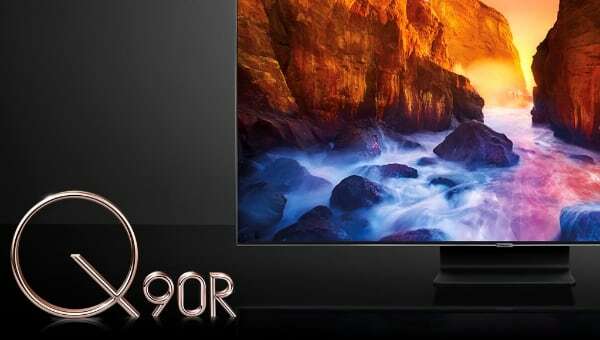 The TV delivers powerful performance in all areas including great audio reproduction, wireless internet connection with full browsing ability and Ambilight Spectra 3. This impressive offering is ready for 3D, via an optional kit.. The Samsung BD-C8900 delivers extraordinarily high picture quality from Blu-ray discs to any of today’s HD displays, even when reproducing 3D. The ultra-fast start up time when loading a disc is extremely impressive. But this product is much more than just a Blu-ray player: the versatile source unit also delivers great audio and pictures from an integrated HDTV cable or satellite tuner (‘S’-version) and allows up to 136 hours recording of HD programme material to an internal 500 GB hard disk drive as well. The BD-C8900 is equipped with CI+ slot, built-in Wi-Fi, Internet-TV and USB playback, adding great flexibility and streaming services to its excellent performance. The UK-model BD-C8900M has an incorporated DVB-T2 tuner. 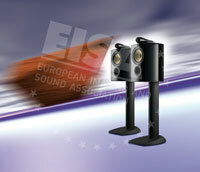 Looking for an exciting 3D home theatre including 7.1 sound? 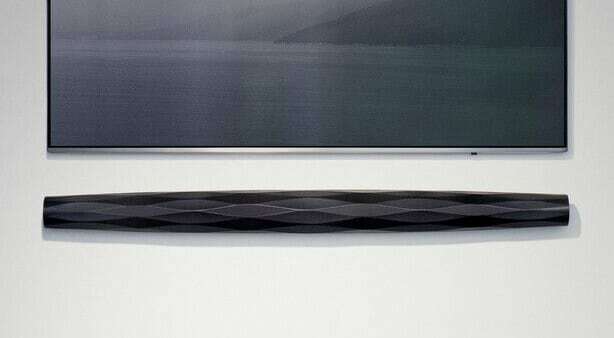 The superslim Samsung UE46C8000 is equipped to bring the fascinating world of 3D into your living room. Full HD, 3D-quality and 2D to 3D conversion are impeccable and convincing; its super slim design underlines the superior class of faithful colours and deep black delivered by advanced LED technology. This Media-Centre-TV is equipped with HD-Tuners and Internet-TV allows users to install applications from Samsung‘s App Store, sharing and streaming all kind of media via the home network, including USB-recording and a Skype video phone feature. Great sound is achieved in the combination with the Samsung 7.1 system HT-C6930W that includes a 3D-capable Blu-ray player and powerful amplifiers, wireless rear speakers and automatic sound calibration via a microphone. Every small advance in technology enables engineers to find new solutions and deliver better picture quality in the rapidly growing LCD TV market. Unlike standard LCD screens, Sharp introduces an additional yellow pixel to the three primary colours; Red, Blue and Green. Sharp calls this technological advance Quattron and under testing, picture brightness is visibly enhanced with even objects like brass, gold and other tricky colours and subjects are reproduced more vividly due to the extended colour space. Quattron technology also helps to reduce power consumption allowing good levels of brightness to be achieved with less power. The home theatre enthusiast will love it: the SIM2 Grand Cinema Mico offers amazing picture quality with near perfect colours and amazing black level due its ‘Dynamic Black’ feature. The single Chip DLP projector is based on a new high quality technology that uses RGB LED’s with a lifetime of 30,000 hours as a light source. The usual mechanical rotating colour wheel is no longer needed inside the optical engine. LED technology delivers instant power-up and down coupled with high picture quality lasting for many years without discernable degradation. Removing the need to purchase replacement mercury-based lamps offers the Mico 50 green credentials while saving you money. A range of high quality zoom lenses brings further flexibility to this maintenance-free, high picture quality, low noise offering. The Sony KDL-52HX900 delivers tremendous video quality and hyper-realistic results with 2D and 3D sources. Sony’s magic touch is clearly visible in the huge contrast ratio, top-class movement compensation, the superb BRAVIA Engine 3, and the most efficient Direct-LED Backlight yet. Even standard 2D sources may be watched in thrilling 3D due to Sony’s conversion process. The Sony KDL-52HX900 is much more than a TV it’s an amazing hub for all sources and is even equipped with a full Wi-Fi internet browser. This piece of modern art from Sony combines the beauty of a unique design with a maelstrom of technologies that bring the excitement of 2D and 3D cinema experiences to your living room. In its quest for energy efficiency, the Philips 42PFL6805 reaches an all time low consuming just 40 Watts in eco-mode. The set demonstrates a holistic approach to eco-design, evident in many details such as the unorthodox product architecture, solar-powered remote control, double-function stand and wall-mount and an e-manual. The cherry on the cake is the clever use of a rather small partly recycled aluminium panel which covers all electronics instead of the total back cover that is used by their competition. 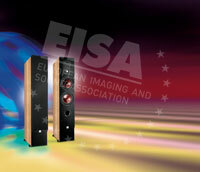 EISA has also chosen speaker products and has chosen loudspeakers, soundbars and receivers. 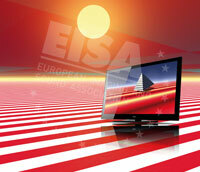 See the EISA Awards below. B&W’s classic 805 standmount loudspeaker gets the ‘Diamond’ makeover with new Nautilus-loaded tweeters, a revised crossover and an entirely new matrix-inspired cabinet design. This compact speaker is available in three beautiful finishes – cherrywood, rosenut and piano gloss black – that reflect its status as a true luxury product. As the voice of a top quality hi-fi system, and without dominating the furniture in your living room, the B&W 805 Diamond offers a highly refined and beguiling sound that’s hard to resist. Thanks to a comprehensive list of improvements, the second edition of DALI’s well-reviewed IKON Series of speakers represents much more than a subtle update. Valorized drivers, an enhanced finish, stronger enclosure construction and a completely new crossover network ensure a sound that towers over similarly priced rivals. The hybrid tweeter module provides a treble that is wonderfully smooth while the shape of the enclosure assists in a presentation that is both clear and wide. Add in a rich, sturdy bass, a natural-sounding midrange, high sensitivity and its relatively easy amplifier load and Danish company’s IKON 6 Mk2 is a deserving winner. 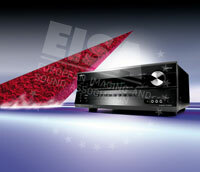 Only just released, this combination of SACD player and integrated amplifier sets new standards in the mid-priced market. Like its highly successful predecessor, the amp is both packed with features and fine-tuned to improve sound quality even further. 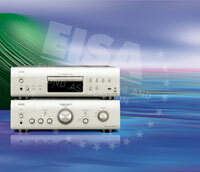 The disc player, on the other hand, is an almost completely new design, which redefines performance at this price. It features a high quality transport, two mains transformers and is fully compatible with MP3 and WAV files whether stored on CD, a USB-drive or an iPod/iPhone. What’s more, the latter can be controlled via the player’s remote handset while the display shows track information. The Denon duo is now the cost effective solution for the demanding listener. 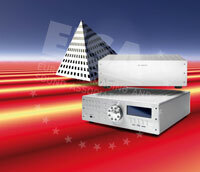 From France comes the most innovative and advanced amplifier to emerge on the hi-fi scene in years. Its striking industrial design conceals a patented hybrid of analogue and digital technologies that deliver stunning audio and technical performance. A host of user-configurable inputs are included while its distinctive (radio frequency) tabletop remote allows the amplifier to be controlled without it being in line-of-sight. 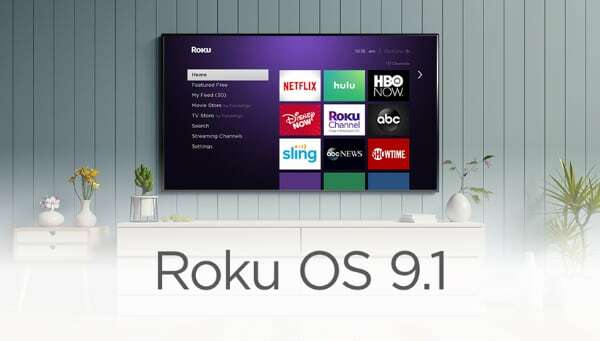 Proprietary Wi-Fi and two HDMI sockets are also included to service future upgrades, including using the D-Premier as a transparent HDMI-repeater between a source and a TV. To hear this amplifier is to enjoy stereo music like never before as it carves a truly memorable performance into the very air itself. Hi-fi will never be the same again! This 5.1 home theatre speaker system combines fine sound with stylish design, with each of the components making up this package boasting a luxurious, high gloss finish. The five satellite speakers convince with a clear, realistic and dynamic sound that ensures movie dialogue is easy to follow just as background detail is allowed to develop a tremendous sense of atmosphere. Rich in technology, the dual flat-panel midrange drivers in HK’s satellite and centre speakers reduce distortion and unwanted reflections. The subwoofer has adjustable volume and phase and includes an 8in driver and 200W-rated amplifier, delivering an impressively deep bass from such a compact cabinet. When cost is no object and the pursuit of the ultimate home theatre sound is the overriding goal, Krell has a mouth-watering solution in its fabulous S-1200u AV processor and S-1500 multichannel power amplifier. The 7.1 channel processor provides decoding for all Dolby and DTS HD audio formats through its fully balanced outputs, the ‘u’ version also offering upscaling of analogue video content to 1080p digital video from its HDMI 1.3 output. This stunning AV processor is complemented by Krell’s modular S-1500 power amplifier which offers 3, 5, 6 or 7x150W outputs from a deceptively compact enclosure. Its features tick all the boxes for the high-end cinephile while its Krell heritage ensures a broad, deep and immensely powerful multichannel sound that sets the standard for cinema in the home. Finding a 2.1 system home theatre system that is both compact and great sounding is not the easiest of tasks. However, with its slim and stylish HB45E, LG sets the benchmark for sound per pound and versatility, combining BD Live 2.0, an iPod/iPhone docking station plus compatibility with USB, DLNA and CIFS. 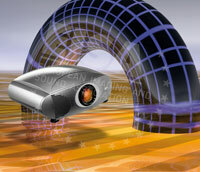 The system has inputs for multiple sources, including NTFS hard drives, and will process DivX HD and MKV files. The satellite speakers generate a spacious sound in a range of different environments while the powerful subwoofer never threatens to upset the overall balance of the music. Offering a world of fun and possibilities, this smart, compact multi-purpose system will also prove a hit with gamers. Onkyo is successfully redefining the facilities, power and performance for ‘entry level’ AV receivers with its feature-packed TX-SR608. 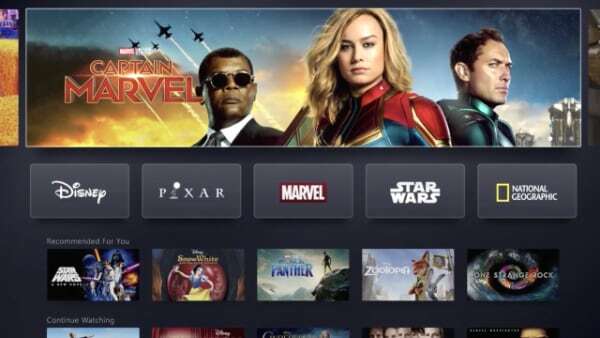 Its host of inputs are headlined by no fewer than six 3D-compatible HDMI 1.4a connections while the on-board decoding supports the latest HD-audio formats from Dolby and DTS. 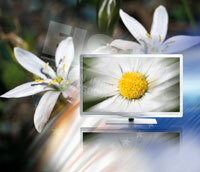 Video upscaling to 1080p is provided along with a host of Audyssey processing modes. The seven internal power amplifiers are rated at a full 100W each to deliver a truly immersive home cinema experience while Onkyo’s careful analogue engineering also ensures the TX-SR608 sings with conventional stereo music. Televisions may be getting thinner by the year but this makes the engineering of their integral, flat loudspeakers all the more difficult and explains the rise of the ‘Soundbar’. Panasonic’s SC-HTB500 solution is aimed at owners of flat panel TVs sized 42in and above and is easily installed and connected, requiring just one ÇDMI cable. 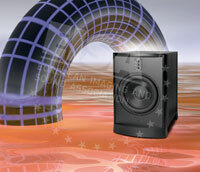 The ÇDMI input is 3D compatible and includes an Audio Return Channel and Pass Thru feature. 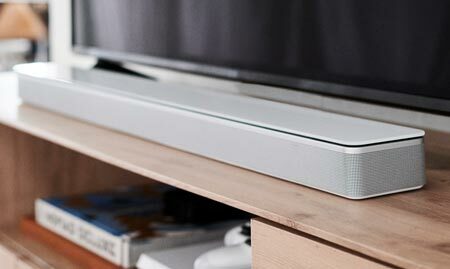 Panasonic’s bamboo cone speakers and ‘Clear-Mode’ dialog feature helps this Soundbar achieve a crisp and attractively full-bodied sound. Match it with the included wireless active subwoofer for a highly stylish solution. 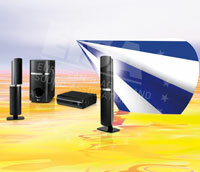 Key to Philips’ HTS9520 are its novel satellite speakers, each comprising multiple drivers. The lower cabinet features two side-firing units which act as dipoles while the top cabinet utilises a conventional bass/treble arrangement. These are driven from Class D amplifiers in the HTS9520’s main DVD/BD player, which also includes custom DSP to further enhance the system’s surround sound. With a subwoofer providing a solid foundation for the midrange and treble, the result is a sound that surrounds you in new and exciting ways! An attractive and fine sounding system, this product is ready for both 3D TV and offers wireless access to your home server. If you’re in the market for a compact system that pretty much does it all then the MCi900 is it. This latest Streamium Wi-Fi solution, complete with SoundSphere speakers, will play DVD and DivX movie files, FLAC and WAV music files and offers UPnP capability to stream MP3 music from a PC. 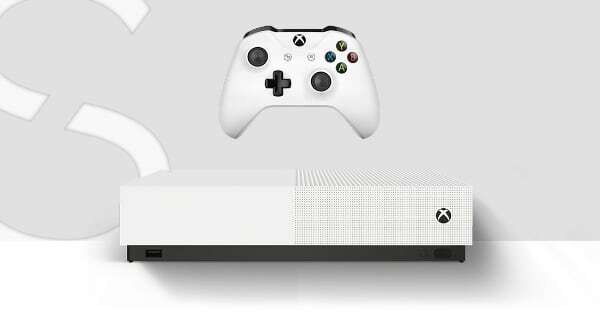 You can also play soundfiles to its USB-connected, additional 160GB hard drive, while Ethernet or Wi-Fi connection allows you to have access to internet audio. The partnering aluminium SoundSphere speakers are driven from a 2x50W Class D amplifier and combine an upward-firing bass/mid unit with a separate tweeter, housed in an overhanging ’teardrop’. The broad directionality of these novel speakers helps deliver a deep and wide sound into every corner of your room. Whatever loudspeakers you currently own, all but the very largest could not fail to be assisted by the PSB SubSeries 500 subwoofer. With capacity in hand to play those all-important low frequencies down to 20Hz, its 12in low frequency driver sports a diaphragm made of woven fiberglass, powered by an amplifier able to kick out a claimed 500W and dynamic peaks of 1500W. 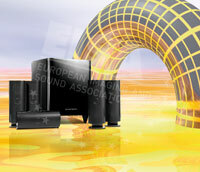 Still compact and space-saving, the sound of this subwoofer is clean, unusually controlled, tight and distortion free. It is not just a fantastic addition to any home theatre system but the ideal solution to reinforce your high quality hi-fi system, too. 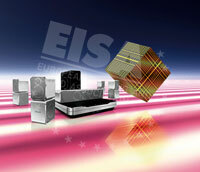 EISA also awarded products in the categories In-car Electronics, Photo, Mobile Devices and Green. 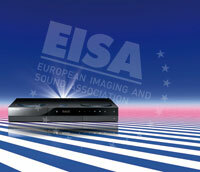 Amongst other products EISA awarded Apple iPad, Canons EOS, Nikon cameras and Sony’s in-car solutions. 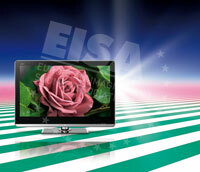 On the EISA homepage you can see a video for each product. 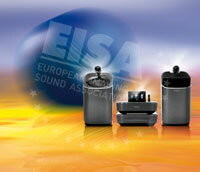 See all the EISA Awards on www.eisa.eu.